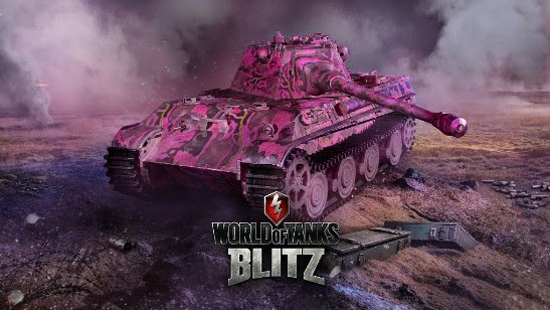 As a response to repeated requests from the game’s player base and developers who envisioned a world where a tank decked with pink camo would forever traumatise unsuspecting opponents, the new skin makes a bold statement and is now an option for all tanks currently in the game. Experience strategic 7v7 multiplayer gameplay. 250+ iconic WW2 vehicles from nations across the world. Engage in intense matches across 23 unique battle arenas. Free-to-win: Equal access to in-game elements for everyone. Real-life physics for authentic tank movement and damage mechanics. World of Tanks Blitz is available as a free-to-play game on the App Store, Google Play, Steam, and the Windows Store. World of Tanks Blitz is a cross-platform, free-to-play team-based MMO focusing on fierce tank combat across both authentic and alternative historical settings. Available on iOS, Android, Mac, Windows 10, and Steam, World of Tanks Blitz lets players control over 250 legendary armored vehicles.